Surgical specialists are certified by the American College of Veterinary Surgeons after completing an additional 3-4 years of specialized surgical training and passing a rigorous certification examination. 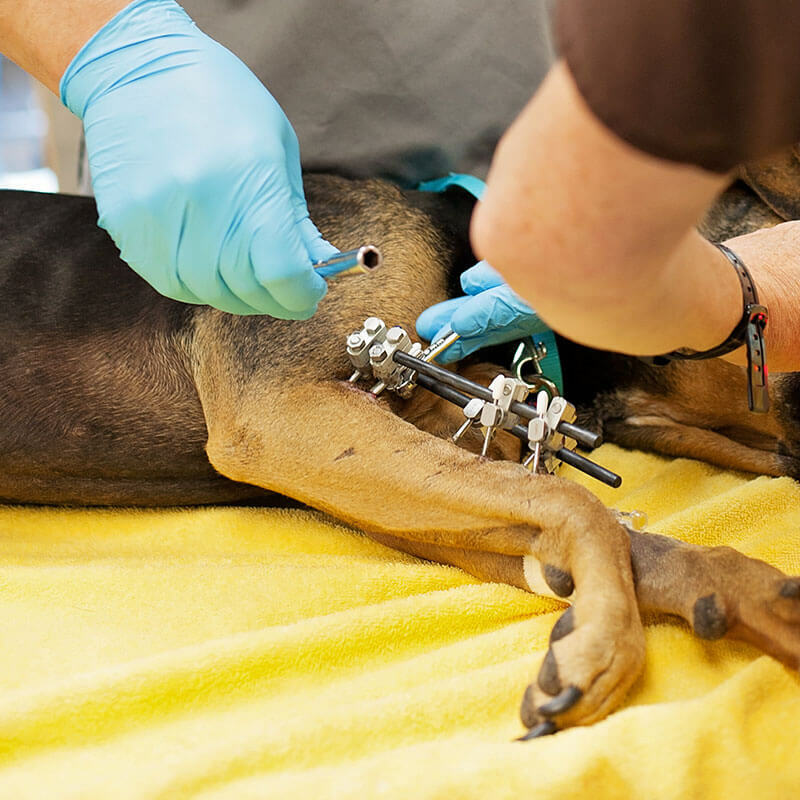 1st Pet Veterinary Centers provides an expert surgical staff, including technicians specially trained in anesthesia and a board-certified surgeon, with experience in diverse procedures, including life-saving emergency abdominal and thoracic surgeries, and comprehensive bone and joint repair. 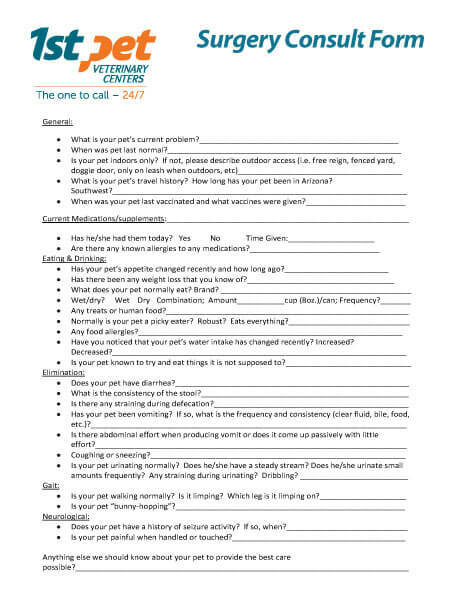 Surgery Consultation Form: To save you time and hassle during your pet’s surgery consultation, we have provided the form to the right that can be downloaded, printed, and filled out prior to the appointment. If this is not convenient, you can always stop by the hospital for a copy of the form or simply fill it out on the day of the appointment. We are confident that through either our traditional surgical services or our laparoscopic and arthroscopic surgeries, we’ll provide for your pet’s surgical needs in the safest, most comfortable way possible. We know the nature of a person’s bond with his or her pet, and we ensure our surgeons and veterinarians receive extensive training and certification. Though our patients do not communicate, we know you do, and we spend time with you to assess your concerns and answer your questions before and after surgery.